CELTIC fans in Donegal have taken to social networks tonight calling for a boycott of the Daily Record newspaper after an ‘outrageous’ attack on Hoops manager Neil Lennon. And Celtic have officially banned Record sports reporters after today’s edition. The back page of Saturday’s edition used the headline “Who’s More Hated at Ibrox (is it Lennon or the Taxman? )” ahead of Sunday’s Old Firm match. The story compares Rangers fans’ views of Lennon with the club’s tax dispute. A Celtic statement called the story “inflammatory and offensive” while the paper’s sports editor Jim Traynor said the piece was not meant to offend. The article, written by Keith Jackson, also discusses Rangers’ ongoing investigation by the British Revenue and reports that “the mere sight of Lennon unites and inflames Rangers’ senses more than any other”. Rangers host Celtic at Ibrox on Sunday in the first encounter between the teams this season. Celtic released a statement on Saturday criticising the Daily Record’s reporting and withdrew all co-operation with the newspaper and its journalists, demanding “a suitable retraction and apology”. The statement read: “For this newspaper to treat the matter in this insensitive and ill-judged manner is astonishing. “Celtic has today been inundated with complaints from supporters relating to this story and the club fully understands their feelings on this issue. “There is no question, on the eve of a Rangers v Celtic match to use ‘Lennon’, ‘Hate’ and ‘Ibrox’ in a newspaper headline is extremely irresponsible. “Neil Lennon, his coaching staff and the Celtic players are very disappointed at this reporting and have jointly decided that they will not be co-operating with journalists from The Daily Record. 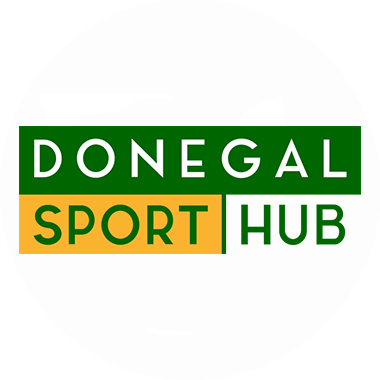 On Facebook and Twitter, many Donegal fans of Celtic have said they will no longer buy the newspaper which sells hundreds of copies here every day – mainly to Celtic fans. On BBC Radio Scotland’s Sportsound programme, Jim Traynor insisted the headline was not deliberately intended to provoke Celtic, the club’s fans or its manager. “Someone obviously thought it would be a good way to illustrate the main stories of the build-up to Sunday’s match,” he said. “No-one, I’m sure, thought for a second that they would like to offend Neil Lennon or any Old Firm fans. 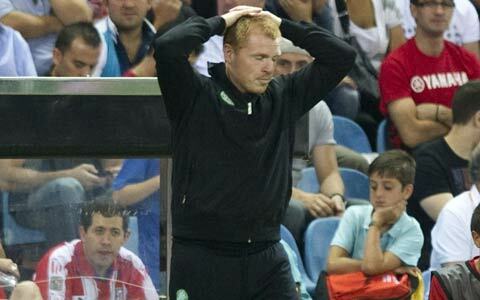 “Neil Lennon goes to Ibrox and we all know he’s not popular. And later, on BBC Radio Scotland’s Your Call, he said: “I am not defending it. I can’t defend it. “I would have pulled the headline. I think the headline is wrong.